The country’s most famous example is Saltdean Lido, which is located at Saltdean Park Road, Saltdean, in the city of Brighton and Hove. First opened in 1938, the seaside lido was designed to face south-east towards the English Channel with a sea water pool and central fountain on the curved north-east side, and a central diving stage on the south-west side. Originally listed Grade II by English Heritage for its architectural and historical importance, its status was upgraded to Grade II* in 2011. Such buildings are defined as being “particularly important, of more than special interest”. says Tony Fisher, Waterco Europe CEO. When the leaseholder of the site – one of only three remaining seaside lidos left in the UK – announced plans to demolish the Art Deco building to construct an apartment block on the site, community outrage was loud and swift. After the development application was refused, the lease was handed back to Brighton and Hove City Council and shortly after, in 2012, Saltdean Lido was closed to the public. Main pool measuring 40-metres (131ft) in length with an overall volume of 800m³ featuring a central waterfall feature. Led by the renowned Aqua Platinum Projects and its preferred distributor, Paramount Pool Products, the professionals were faced with a pool that was beyond repair and the original, fabricated metal filters that were totally corroded. In essence, both pools had to be totally rebuilt. 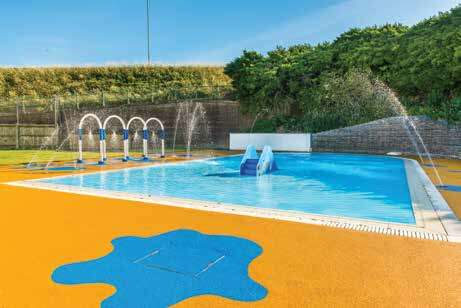 Children’s splash pool measuring 17-metres in length (56ft) with an overall volume of 16m³ featuring slide and interactive water features and play area. 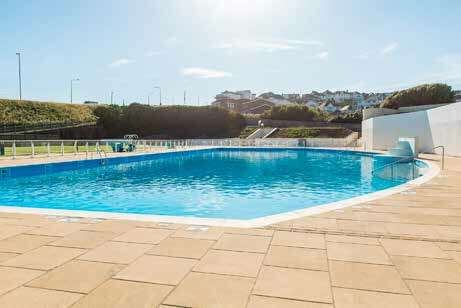 In order to meet the latest specifications relating to commercial pool filtration, Paramount Pool Products turned to the brand they knew would provide a solution that was capable of processing the lido’s high volume of water and bather load– and wouldn’t corrode in the seaside setting: Waterco. Taking just a few weeks to install the entire system, Waterco’s sophisticated filtration solutions include: five SMD1800 Micron commercial sand filters and four 7Hp BH5000 Cast Iron Pumps for the main pool, and one SMD1800 Micron commercial sand filter and two Hydrostar 6HP pumps for the children’s splash pool. 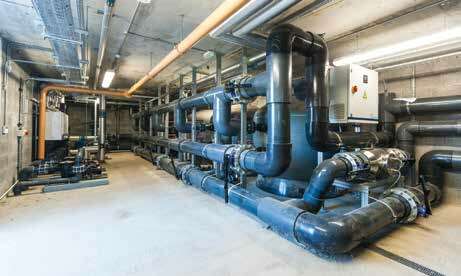 Five SMD1800 Micron commercial sand filters were installed for the main pool and one SMD1800 Micron commercial sand filter was installed for the children’s splash pool.media. 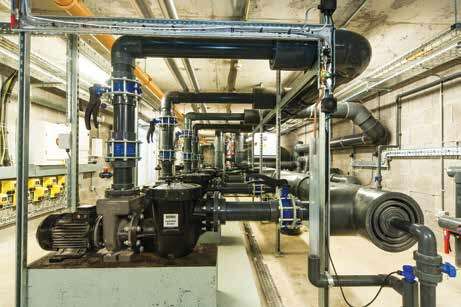 Four 7Hp BH5000 Cast Iron Pumps were installed for the main pool and two Hydrostar 6HP pumps for the children’s splash pool. 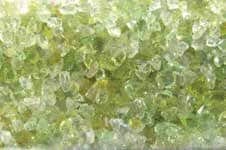 Ecopure glass has undergone specialised heat treatment process, which reduces degradation and therefore lengthens its life span. When Saltdean Lido was reopened to the public in June 2017, hundreds turned out to celebrate – many of whom had spent the past few years campaigning and fundraising in its honour. The refurbished outdoor site now boasts a heated swimming pool, children’s paddling pool, a shallow splash area, and beautifully landscaped gardens. With campaigns to restore lidos in Bath, Peckham and Reading, Saltdean Lido represents a historic turning point in the growing interest to restore Britain’s beloved open-air swimming pools. 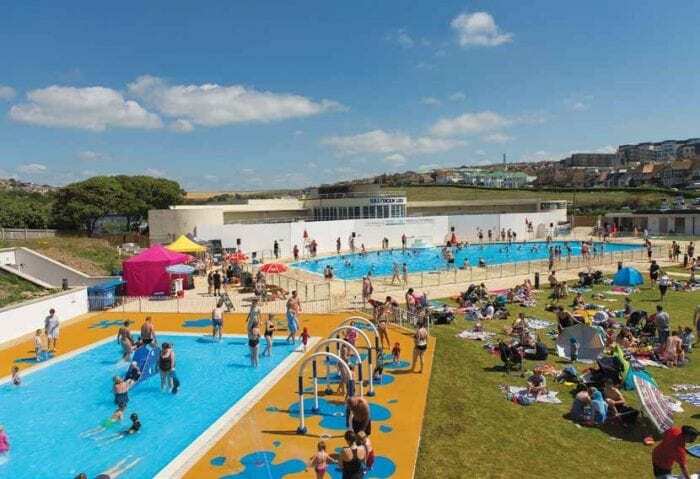 “There has been a fantastic response from so many companies and all who are involved with the Saltdean Lido would like to say a big thank you to Waterco for its support,” says Saltdean Lido volunteer director and local resident Deryck Chester.